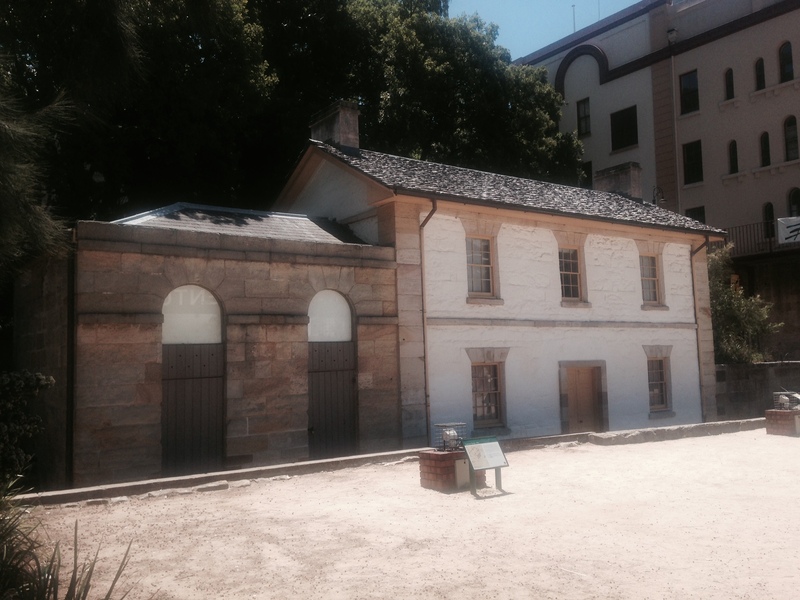 On my first visit to Sydney I was keen to see what remained of the city’s early colonial past, after all this was where the first European settlement of Australia began back in 1788. I had little time for research but assumed that there would be minimal historic sights to see, on the assumption that this young nation would be unlikely to celebrate its convict past. However, a short walk west of Circular Quay with its skyscrapers, harbour bridge and iconic Opera House, helps to quickly dispelled this ignorance. 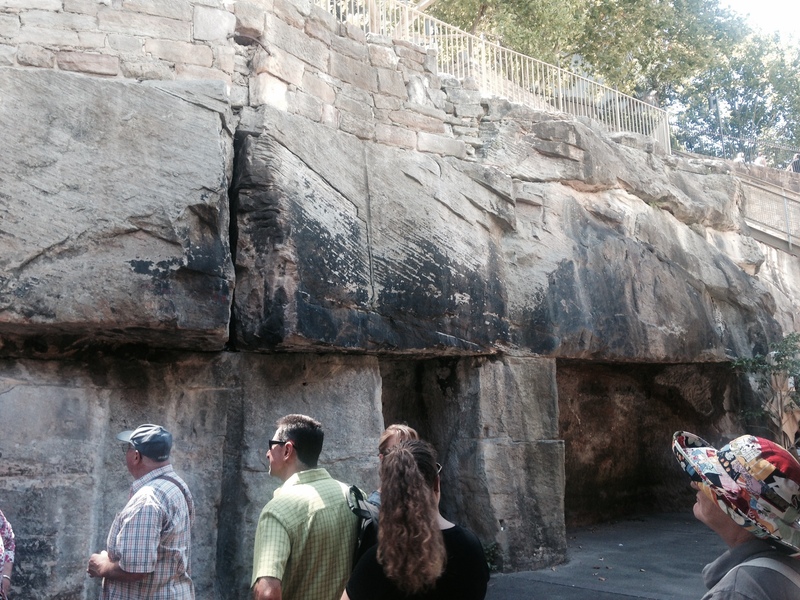 Sydney is both proud of its early European history and its on show in places such as The Rocks. 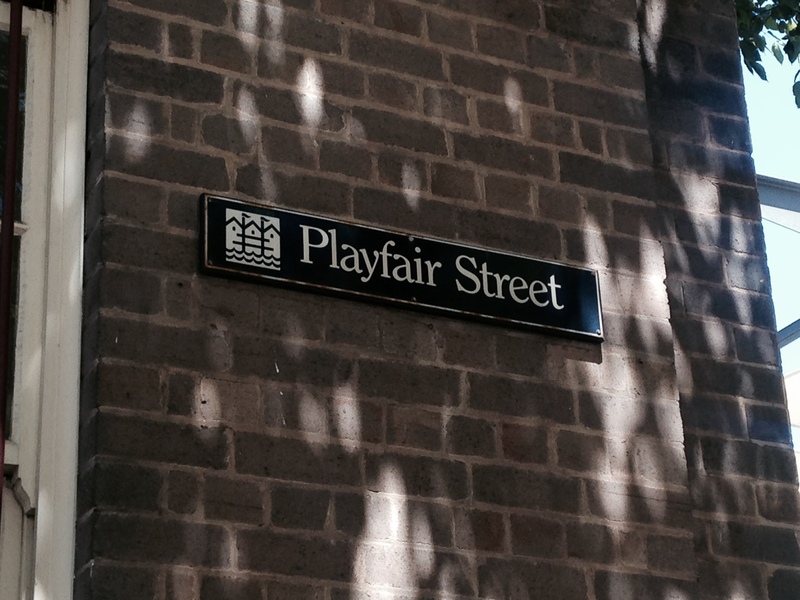 An organised walking tour of The Rocks feels almost like being transported back to Dickensian London. Winding streets with names such as Playfair, Argyle and Gas Lane are lined with of Georgian and Victorian terraced houses and old fashioned shop facades. On main thoroughfares such as Argyle and Harrington streets, pubs such as the Hero of Waterloo, the Lord Nelson and Fortune of War vie with one another for the title of Sydney’s oldest pub and the server of its best ales and bitters. Off these little alleyways lead off to rows of old tenements where you can imagine yourself ducking under fully laden washing lines. And the associations with Dickens vision of London don’t just end there because as our guide ‘Brian’ explained; life in The Rocks was far from the picture postcard image it is today. The area was chosen by the first governor of Sydney, Arthur Philip as the settlement for convicts thanks to its sandstone outcrops. Philips hoped those smooth surfaces would help wash away the convicts excrement when it rained. The decision to establish Sydney as Britain’s first settlement in Australia represented the country’s most ambitious effort to solve the problem of overflowing prisons by creating a society made up almost exclusively of convicts. Transportation had been used before, mainly to the American colonies, but not on the same scale and eventually 166,000 British criminals would be sent to The Rocks and other Australian settlements. Criminals were sentenced to transportation for seven years, 14 years or for life, although all those including the lifers could expect to be pardoned and become free citizens within a few years of arrival and potentially build a much better life than their brethen in Britain. Women were often given unnecessarily harsh sentences of transportation for minor offences in order to increase the female population of the colonies.However life in those first days were hard. Many convicts had been city dwelling skilled labourers or artisans back in Britain (the typical prisoner was better educated and fed than the average working man in Britain) and they were unused to the hard physical labour of building a city from scratch. There were no prisons as such, the land itself was seen as a barrier by the British authorities. But convicts could be flogged for minor offences. As the colony grew living conditions in The Rocks declined to little better than a cesspit before slowly improving. These improvements didn’t stop some convicts escaping into the sun baked bush around the colony seeking a way out. Some believed they could walk to China, and freedom, in two days. One even tore out a picture of a compass from a book in the hope it could guide him north to China. In Victorian times The Rocks found a new role, as the city’s most infamous working class slum and a den of violence, disease, drugs and prostitution. 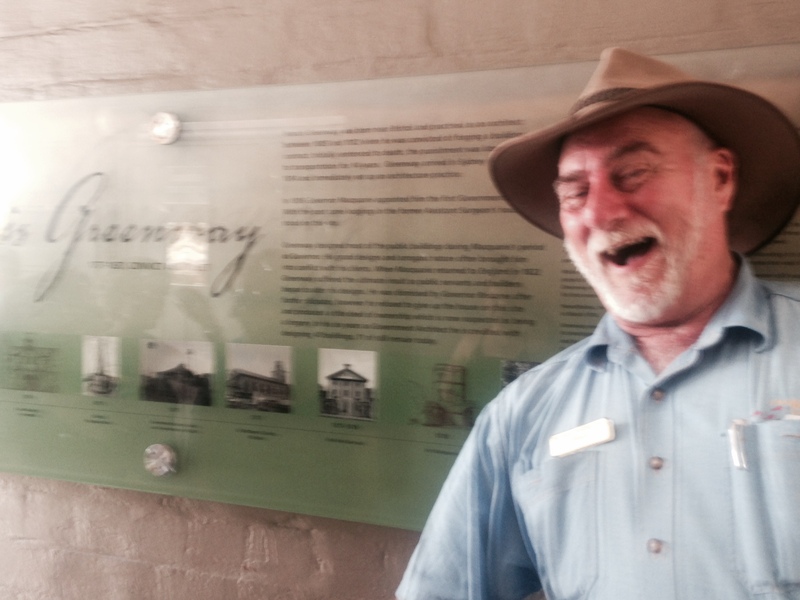 Our guide Brian explained, as Sydney’s importance as a trading port grew during the 19th Century, gambling and opium dens, sly grog shops and brothels sprang up in The Rocks to serve the needs of sailors arriving from across the world to this far flung port of the British Empire. With coins in short supply in the early part of the century, rum became the main currency of this colony. A practice governors failed to stamp out until coins came into greater supply. “I likewise found my reasoning of the drunkenness in the colony upon the circumstance that you see drunken people on all directions, men and women fighting in the street, and the most disgusting scenes of all descriptions, particularly in that area of Sydney denominated as the Rocks, something similar to St Giles’s in London; but rather I should call St Giles’s a paradise as compared with the Rocks in Sydney”. And visitors to The Rocks between the 1870s and 1880s had to be beware of its infamous push gangs, organised groups of young men who would mug and sometimes kill unwary travellers walking through their patch at night. The large tunnel hewn by convict labour from the standstone rocks, called the Argyle Cut became the favoured hunting grounds of The Rocks notorious Argyle Cut Push gang. The associations with Dickens continues; having been established with no sewage or drainage systems, the streets would literally run with filth. Beneath rickety tenements, effluent would run below ground, poisoning wells. When it rained any pooling effluent would run along the cobbled streets and cascade over the ridges between rows of houses cut into the steep slopes of The Rock creating the perfect breeding ground for disease and rats. Conditions were so cramped and unsanitary that they sparked a further enquiry into living conditions in 1859. Finally a damning report in 1875/76 forced the city authorities to install a sewage system. 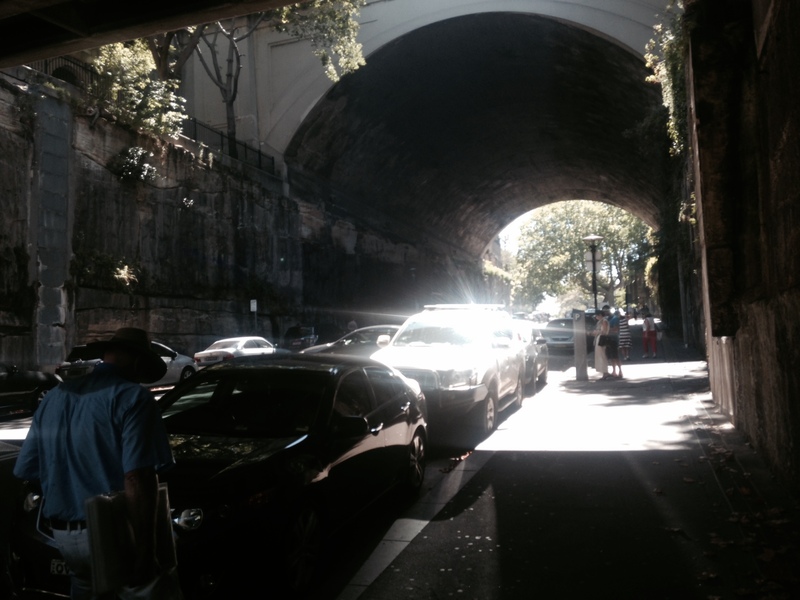 While the infrastructure cost to the government were significant the affect on The Rocks or indeed the other inhabitants of Sydney were negligible because it was not compulsory for private households to be connected to the system. The cost of each connection fell to the individual household owner so upon completion of the project only an estimated 1,000 of Sydney’s 22,000 dwellings were connected. Only in 1900, long after London had cleaned up its sewage systems and when bubonic plague broke out in the city did the authorities really act. A campaign to eradicate the rats (based on the understand that rats were linked to the spread of the disease) began. The public were paid for every rat they killed resulting in several hundred thousands killed. The slum areas such as The Rocks were demolished to an effort to eradicate the rat population and by 1905, and when the plague was officially wiped out in Sydney, only 165 human deaths relating to bubonic plague had been recorded. Thanks to the rats the slum areas including The Rocks and nearby Millers Point were taken into public ownership and later used for public housing thus saving them from commercial development and destruction. Save for the loss of a small area required for the construction of Sydney Harbour Bridge in the 1920s and 30s. Being idyllically situated on the harbour front, in the heart of the city The Rocks faced its greatest threat in the 1970s when city planners decided to replace it with sprawling high rises and tower blocks. A campaign led by Jack Mundey and the Green Bans movement fought to save the area, not for conservation reasons it should be noted, but for the preservation of tenants’ rights. They succeeded in halting the diggers and saving much of the historic district which can still be seen today. In recognition of the history of The Rocks during the years 1993-1996 Peter D. Cole undertook to illustrate The Rock’s unique history through the medium of art. Re-utilising the old walkways and stairs up the steep cliffs, which are now public realm, Cole has created ‘Foundation Park’; open plan structures bases on the housing layout of the first houses. To this day Foundation Park remains one of Sydney’s best kept secrets making it the ideal tranquil escape from the hustle and bustle of modern day Sydney. However even today there are some who say the unique character of The Rocks is once again under threat. A plan by city officials to privatise housing in areas such as Millers Point, Dawes Point and The Rocks are being fought by residents associations who claim the area’s heritage is under threat. Whatever the outcome of these campaigns The Rocks continue to provide a fascinating insight into early Sydney, a place that still feels like it has more in common with Southwark than it does with Bondi Beach.